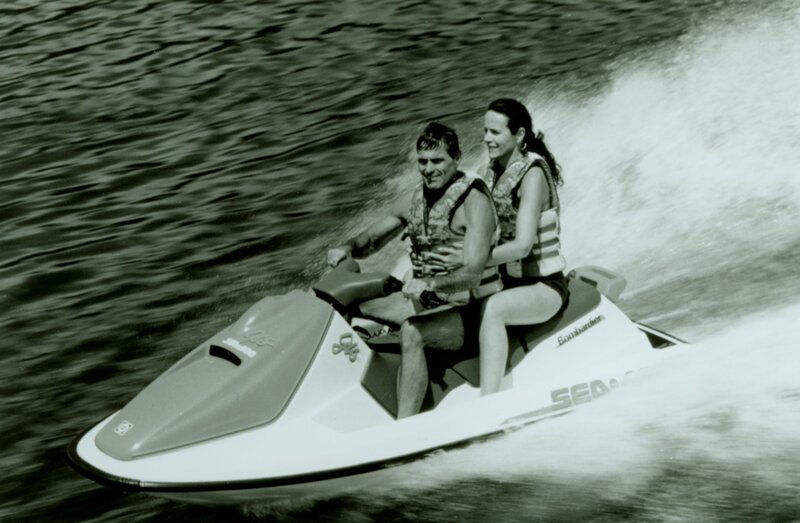 The Sea-Doo brand was solidified as the design leader of the personal watercraft industry in 1993 with the launch of the second-generation Sea-Doo XP model. The 1993 Sea-Doo XP was truly the next generation high performance watercraft with modern visual design utilizing smooth, flowing lines and integrated vents, handles and seating on an entirely new top deck and hull. The 1993 XP also upped the performance ante among two-seaters with a marine use specific 657cc Rotax rotary valve engine with twin Mikuni carburetors and a tuned pipe producing 65 horsepower. The power was put to the water with a new brass insert jet pump, capable of efficiently processing the higher horsepower and utilized the first electronic trim system. 1993 saw runabout racing take a strong hold at IJSBA and APBA watercraft races and the Pro class races were now broadcast on ESPN’s Hot Summer Nights coverage of summer sports. Watercraft racing was one of the original extreme sports and the Sea-Doo XP was at the forefront of this movement as the manufacturers began to see the “what wins on Sunday sells on Monday” phenomenon take affect and factory support of racers began. Also collecting airtime during ESPN’s programming was the Sea-Doo GTX on the Pro Wakeboard Tour where half of the competition was conducted behind the new Sea-Doo GTX three-seater platforms. Pro wakeboard legends such as Scott Byerly, Darin Shapiro, Gator Legert, Russell Gay, Shaun Murray and others took this fledgling sport to prime time behind Bombardier’s support. This year also was monumental for the industry as the Sea-Doo brand became the new market share leader, surpassing the Kawasaki watercraft brand. 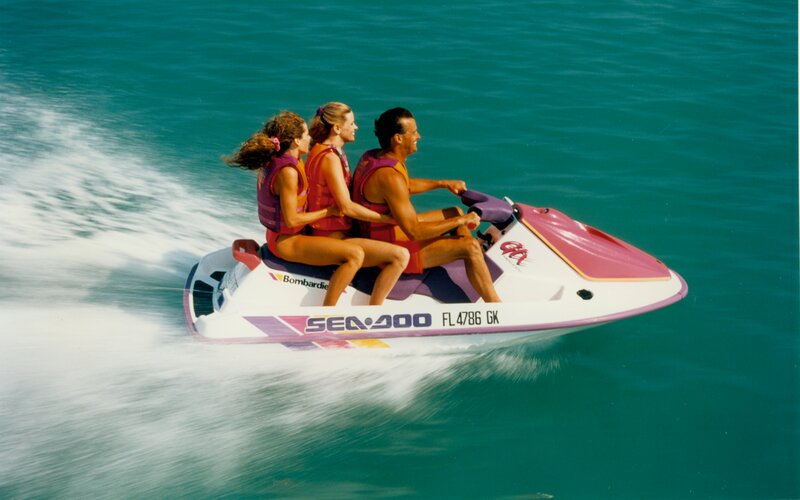 1993 Sea-Doo watercraft line included; Sea-Doo XP, Sea-Doo SPX, Sea-Doo SPi, Sea-Doo SP, Sea-Doo GTX and Sea-Doo GTS, and the unique Sea-Doo Explorer a Direct Drive jet propelled RIB (rigid inflatable boat).